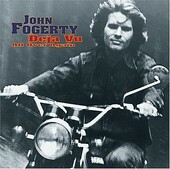 Former Credence Clearwater Revival mastermind John Fogerty's latest solo record, Deja Vu All Over Again, sure does rock when it wants to. Take the blazing "She's Got Baggage", for instance. Driven by a guitar and Fogerty's now legendary storytelling abilities, here is a real American rock song, straight to the point, fast and with plenty of energy. It goes to prove that Fogerty may have aged put out a lot of records during the years, but he still has the flame burning inside of him, and hasn't lost any steam. And though he's still got the momentum, it doesn't mean he's not willing to experiment and try something new, as "Radar" suggests. Equal parts dance, guitar-rock, and adult contemporary, here is a song that will hook you and reel you in, get you moving, but still has an engine purring underneath it. "Nobody's Here Anymore" finds Fogerty delving into roots-rock, creating a country-infused rock ditty, while "I Will Walk With You" explores his love of classic country and bluegrass, creating a toe-tapping, acoustic-led country-folk song. "Rhubarb Pie" is another country-folk song that showcases his ability to play a good Americana song just as well as he can still rock. Ending with "In The Garden", Fogerty blends both worlds with an Americana rocker that finds his band laying it down as well as he spits it out. Age hasn't tamed or dulled him. Fogerty can still rock, and he can be gentle, too. Deja Vu All Over Again may be aptly titled, as this record sums up where he's been and where he's going. I'll give it a B-.